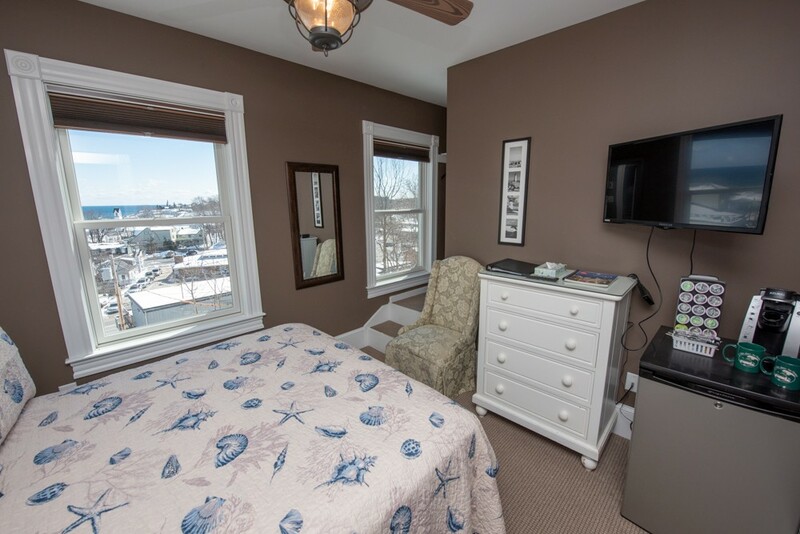 Many People call and Ask for Ocean View Rooms, and our 2 Village Square location is one of our properties that can accommodate that request. 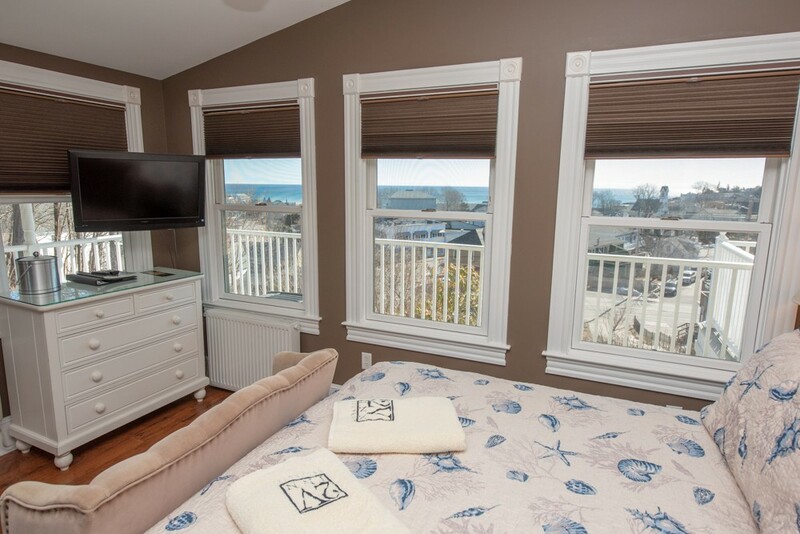 Sitting high up over town gives us beautiful town and stunning distant Beach and Ocean views. Rooms with direct ocean views located in the front of the building, are King 10, King 2, King 14 and Queen 1. Please note queen 1 is small with the bathroom down the hall, it is not a shared bathroom. Rooms with a partial ocean views on the sides of the building are King 3, King 4 and Queen 8. 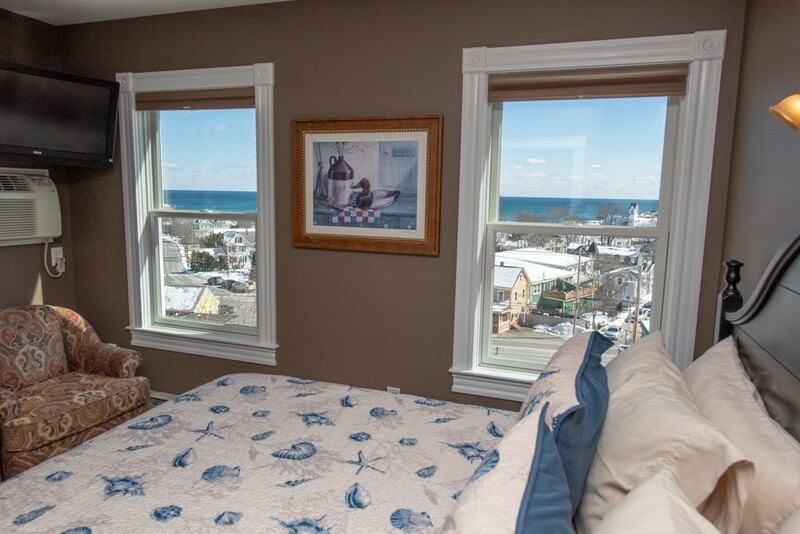 Rooms with a view from a shared porch are Queen 15 and Queen 16. 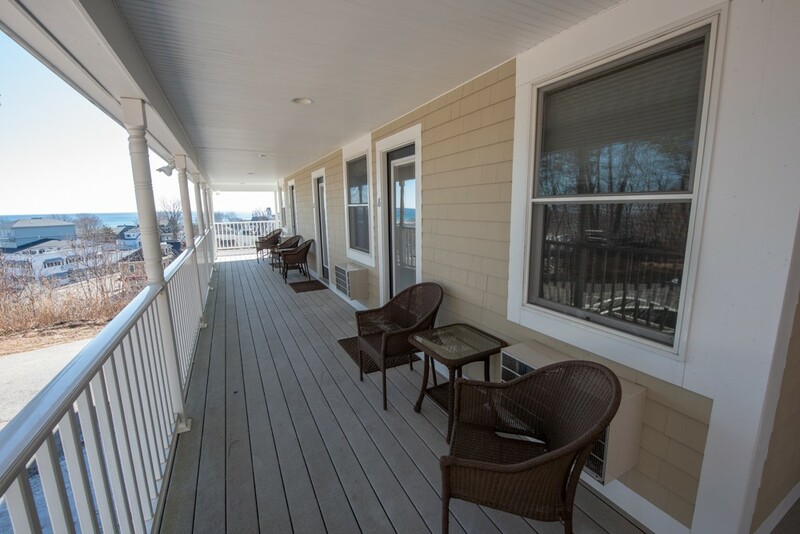 All guests have access to common ocean view porches and inside areas as well.